The Telenav OSM team is excited to announce a new OpenStreetCam imagery collection competition for Australia and New Zealand! This second edition will kick-off on the 15th of March and will last until the 15th of April. Buckle up! Download the free / open source OpenStreetCam app for Android or iOS. Collect as many OpenStreetCam points as you can until April 15, 23:59 UTC+10. 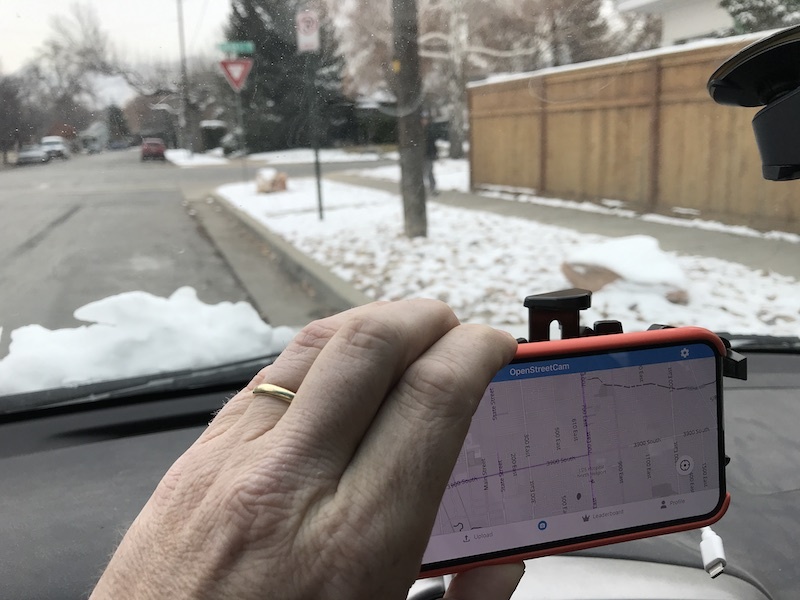 Every image uploaded gets you points, with more points awarded for roads that are being covered for the first time or that have been surveyed infrequently. We will announce the winners on the 16th of April. The top contributors will win a Waylens Horizon dashcam. We will give out one dashcam per country to our top contributors. The runners up will receive a $100 Amazon gift card. You need to gather at least 250K points to be eligible to win the dash cam. Points collected with Waylens dashcams are not eligible. It costs nothing to compete. 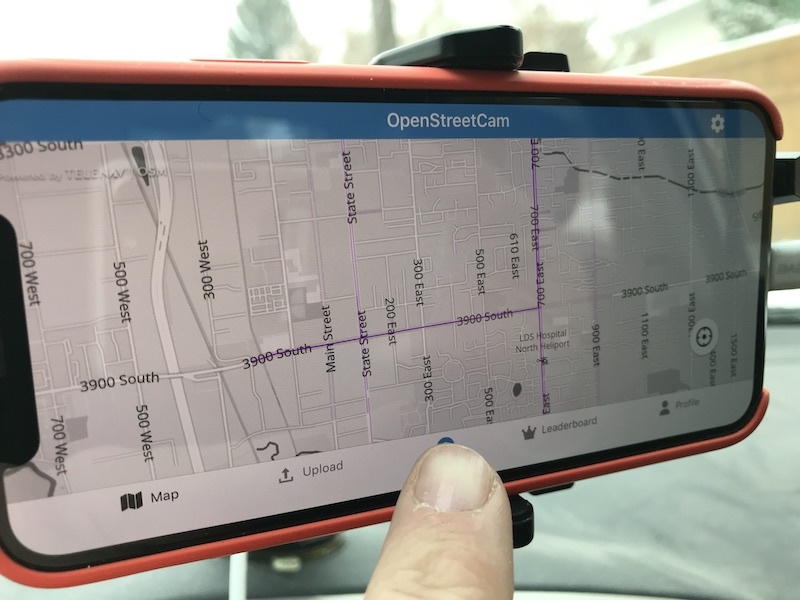 For those who don’t know OpenStreetCam, it is a free and open platform that uploads street-level imagery captured by your smartphone and detects salient features from the uploaded images such as signs, lanes and road curvature to improve OpenStreetMap. The images are collected by mappers for mappers and can be used in iD or JOSM to improve OpenStreetMap. We have a ‘Getting Started’ guide on our blog! How will I know my rank in the leaderboards? We will post weekly updates on Facebook and Twitter. Make sure you check them once in while. Go to https://openstreetcam.org and check out where the magenta lines are missing. Those areas will guarantee the highest return. I’m getting errors trying to install the app, record or upload. Send us an e-mail at hello@openstreetcam.org and we’ll provide support and troubleshooting ASAP. Does your app provide routing? Can I use an OBD-II dongle? You sure can, if you have one to spare. It’s going to enable the 2X multiplier per each kilometer collected. Can I record with a dashcam? Of course, you have our full support, as long as the data is under the form of geotagged JPEGs. You can upload the data collected via our script. I signed up via OSM, how will you contact me? Please send us a message on Facebook or drop an e-mail at hello@openstreetcam.org. 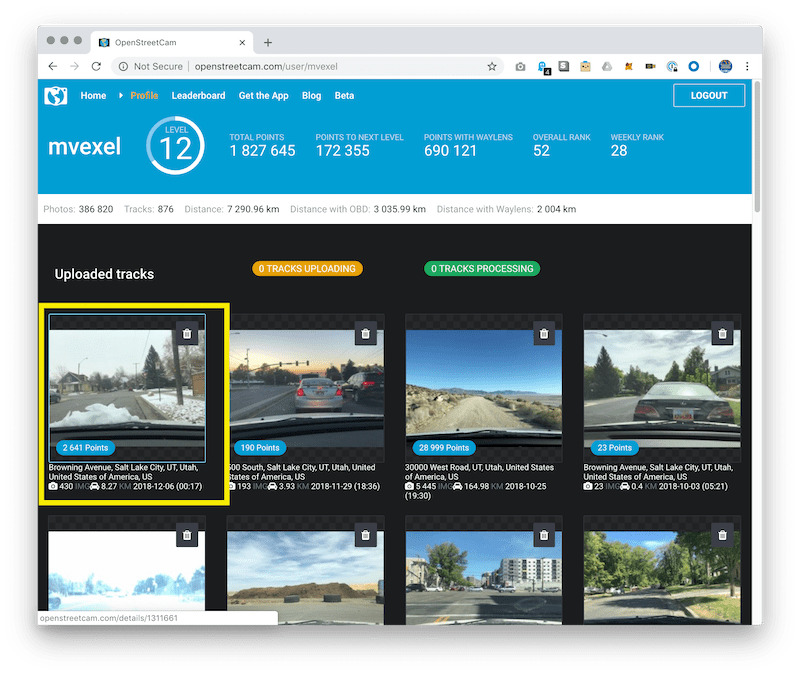 The Telenav OSM team just released a new version of the OpenStreetCam JOSM plugin. In the last couple of months we had improved our sign detections and improved the detection map view, by displaying aggregated traffic sign detections instead of individual detections. Traffic signs are detected per OpenStreetCam photos, in dense areas the same traffic sign is detected several times. Checking several detected signs that represent the same traffic sign in real life is time-consuming and slows down the mapping process. In order to improve the mapping process, detections that represent the same traffic sign were aggregated into a single detection. Aggregated detections are displayed for high zoom levels starting with zoom level 16. Each aggregated detection is represented by a traffic sign cluster icon rotated based on the detection heading. An aggregated detection can be selected by a right click from the map and unselected by a double click. When an aggregated detection is selected the detection icon along with the belonging photo locations are highlighted on the map and its information is displayed in the right side OpenStreetCam Detection panel. The photo on which the detection has the best visibility is also loaded automatically. Loading other photos that contains the detections can be done by either selecting a photo location from the map or by pressing the Next/Previous buttons from the OpenStreetCam Detection panel. For the associated shortcuts take a look at the OpenStreetCam shortcuts from JOSM Preferences. By default, the plugin displays the photo locations of a selected cluster, but the plugin can be configured to display also the actual detections. This can be enabled from JOSM Preferences->OpenStreetCam plugin -> Aggregated detection settings. If enabled individual detections are connected to the corresponding photo. This visualization is used mainly for debugging purposes. The OSC plugin data can be filtered based on various new filters. Some of these filters were already present and others were extended. Default filter settings can be reset by pressing the “Reset” button. If you are interested in the components used for aggregating the traffic sign detections check out the following presentation: https://youtu.be/3I8lsIttqVA?t=290. The JOSM plugin is work on progress, we are working on improving the usability and plan to add new features from time to time. In the near feature, we plan to improve the detection mapping workflows. The Telenav OSM team just released a new version of the ImproveOsm plugin. We have added a location search box (helpful feature for reaching an area to be mapped) and a button for downloading previously selected ways. A new feature we added to the ImproveOSM plugin is the location search box. It enables the user to visualize the desired geographical point at a higher zoom level after entering its coordinates in the text field. The input of the search box should contain the values for latitude and longitude separated by a comma. If the plugin doesn’t understand your input, an intuitive message is displayed in order to help you. This works similar to the JOSM Jump to position but the search box brings advantages such as the single field for data collecting and more validations for the latitude-longitude values. Another feature is the download way button for the Traffic Flow Direction layer. This enables the user to download the ways of the selected road segments in a new Data layer. This option is only available if the Traffic Flow Detection Layer is active. Furthermore, the button becomes enabled when one or more road segments are selected. In this post, we would like to guide you in making your very first contribution to OpenStreetCam. In this post, we would like to guide you in making your very first contribution to OpenStreetCam. There are already 190 million images on OpenStreetCam covering more than 5 million kilometers of road, so obviously getting started is easy enough that it can be done without much guidance  But in case you do need a little encouragement to record your first trip, or just want to see how it works before you try it yourself, read on. The first thing you want to do is download the free app. 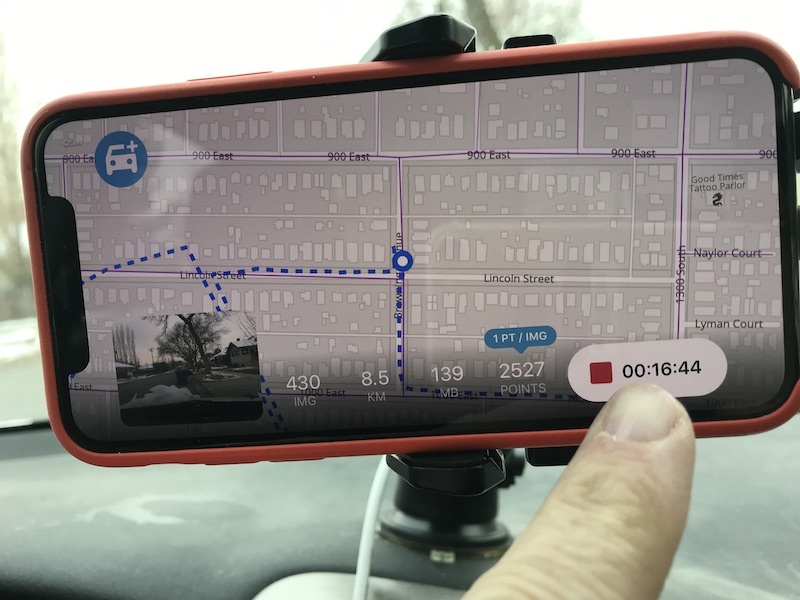 OpenStreetCam apps exist for Android and iOS. 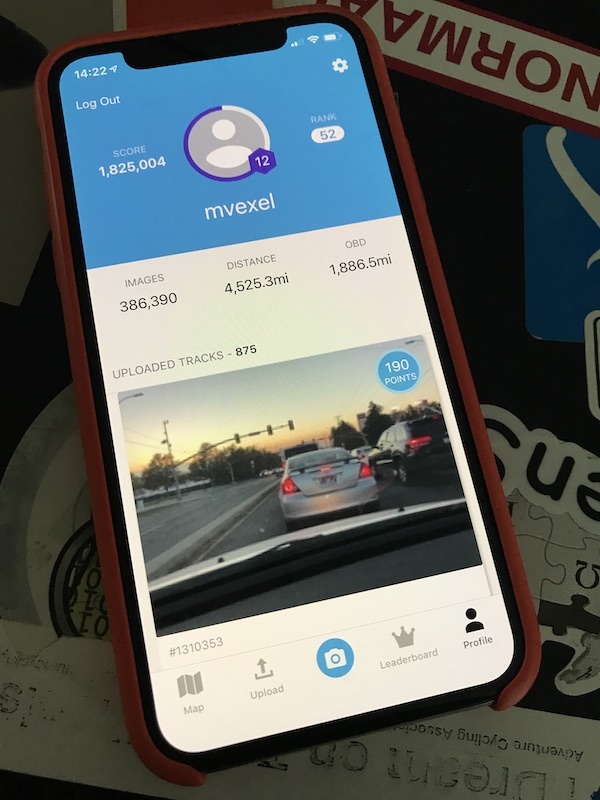 When you first run the app, it will give a quick introduction about OpenStreetCam. Flick through that to get to the main screen. Then go to your Profile, where you can log in. 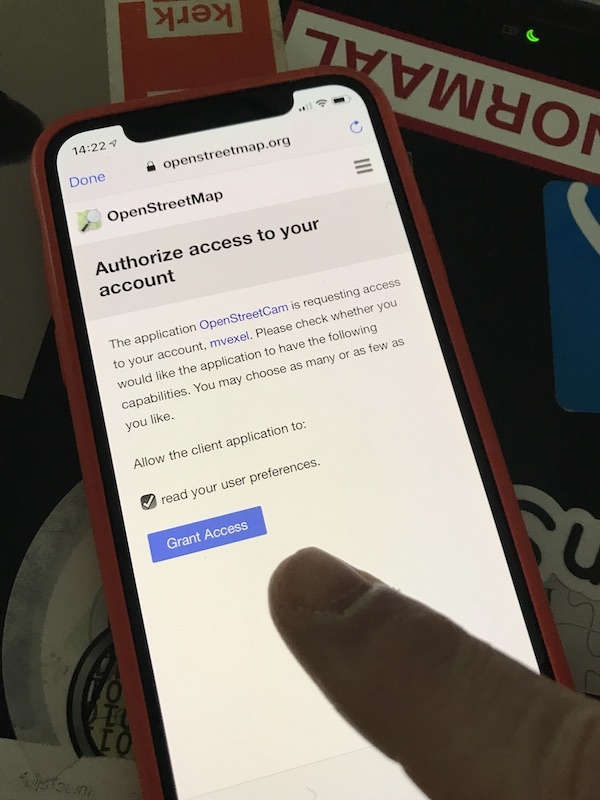 You can create an OpenStreetCam account by logging in with your existing OpenStreetMap, Facebook or Google accounts. You won’t need to create a separate password. Your profile will look a little empty compared to mine, but we are here to change that! Let’s go out and drive some. 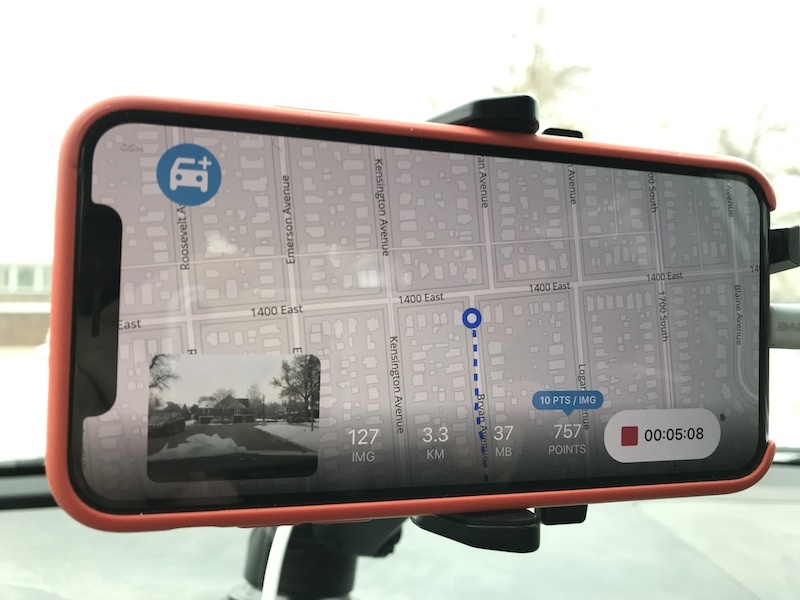 You will need some sort of phone mount in your car so you can point the camera straight ahead with a clear and unobstructed view of the road ahead. I use an iOttie brand mount (an older version of this one) but any mount that will hold your phone in landscape mode reliably will do. You will also want to connect your phone to power. We have spent a lot of time optimizing the app, but the recording still drains the battery quite fast. When you’re done with that, press the blue camera button to start recording mode. You may notice that the app mentions a thing called ‘OBD’. This refers to a port in your car that transmits data about the current state of the vehicle. Using a compatible OBD dongle, OpenStreetCam can use this for improved location accuracy. This is optional but gives you twice the points if detected! If you want to learn more, drop us a line. The app will not immediately start taking pictures. Using your phone’s built in sensors, it will detect when you start and stop moving. As long as you’re stopped, no pictures are taken. This saves space, time spent uploading, and mappers wading through duplicate images of the same location. In recording mode, you can switch between a big camera view and a small minimap, or the other way around. You switch by tapping on the minimap / mini camera in the left bottom. As you drive, you will see your points increase as well as some other basic trip stats like number of pictures taken, space used, kilometers driven and recording time. As I mentioned before, roads that nobody has captured before are worth 10x the points. As you collect more points, you get higher up in the leaderboards and level up! When you’re done driving, hit the record button to end the trip. You will now see a summary screen for your trip, showing where, how long and how far you’ve driven, as well as how many points you have collected on this trip. Now that you’re done collecting your first images, it’s time to upload them to OpenStreetCam. This does not happen automatically by default (but you can go into settings to change that.) So as soon as you’re connected to wi-fi, go back to the app and go to ‘Upload’. There you will see the trip you just created. You can tap on the trip to get more details. One cool thing you can do is ‘scrub’ through the trip. Tap ‘Upload all’ in the top right corner to upload. You will notice that the file size is actually relatively small. That is because internally, the app compresses the images into a video stream that is unpacked into separate photos again at the server side, saving you time and upload bandwidth. Once the upload is finished, you can go to openstreetcam.org and log in there. 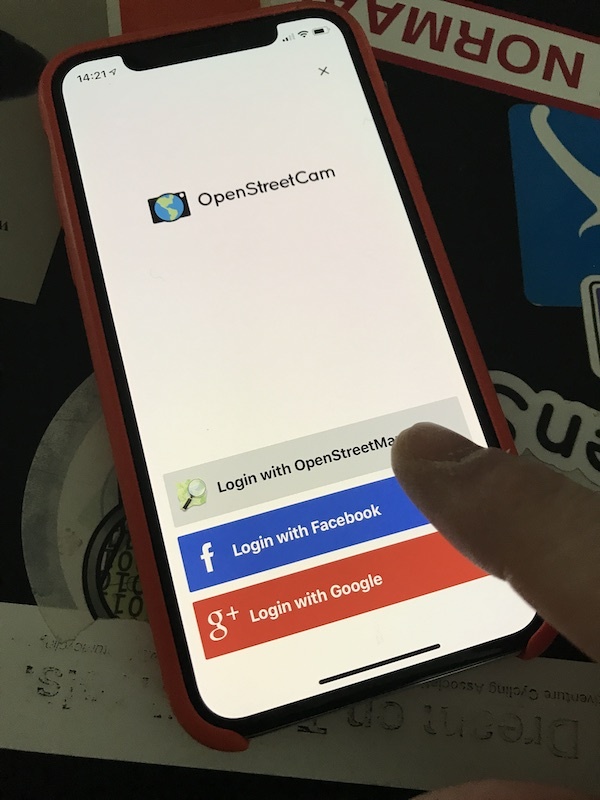 Use the same login method you used in the app, so if you used OpenStreetMap to log in on the app, use OpenStreetMap as your login provider on the web site as well. Once you’re logged in, you can go to your profile to see your trip. Finally, I highlighted two icons you see on the lft hand side of your trip detail window. If you are in the U.S., you may see a number badges. They indicate how many street signs were recognized (the bottom one) and how many of those represent data that doesn’t seem to exist in OSM yet. That’s for a future post though! Signs detected from my trip images. More on that in a future post! Telenav open-sourced the machine learning based sign detection platform that powers the automatic detection of nearly 100 sign types in the OpenStreetCam images you contributed. 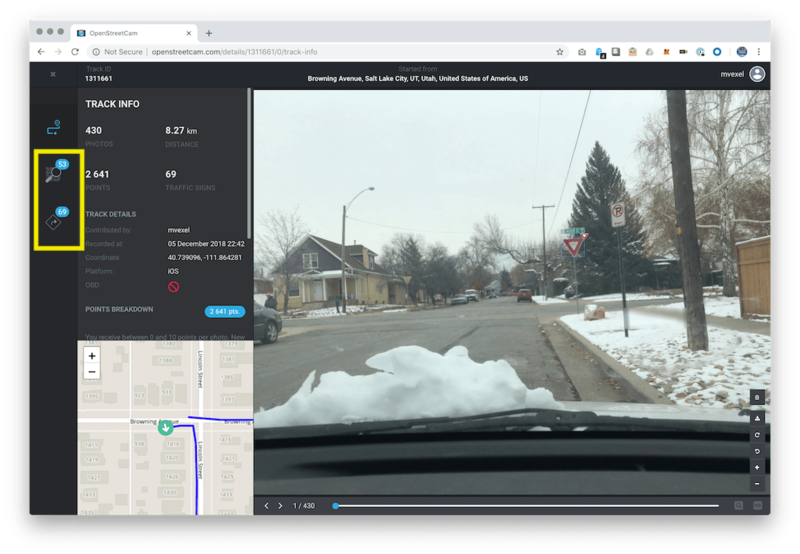 You can already see these detections in the latest version of the OpenStreetCam JOSM plugin to help you map, and iD integration will come soon as well. Machine learning gets better with training. The more known instances of a particular sign that are fed into the system, the more reliable the automatic detections for that sign type will become. Our Map Team has spent thousands of hours manually tagging and validating traffic signs in images, and the resulting training data is open source as well. But did you know you can help improve the detection system yourself as well? Let us show you how. If you go to the trip details on the OpenStreetCam web site, you will see three ‘tabs’ on the left. The first one takes you to the main trip info. The second one takes you to an OSM edit mode, that lets you quickly go over detections and see if they need to be added to OSM. (Separate post! The third tab is the sign validation mode. If the tab icon has a number with it, there are unverified signs to work on. The bottom part of the screen shows all detected signs. The ones that have been validated already will have a green checkmark with them. The ones that have been invalidated will have a red ‘X’. You can validate or invalidate the automatic detection if the sign on the image exactly matches / doesn’t match the automatic detection, by clicking the corresponding button on the left. Use Cmd / Alt up and down to validate or invalidate the currently highlighted detection. It has been an exciting summer! Besides our regular work, there was the annual State of the Map conference that we were all really looking forward to. We launched a new ImproveOSM web site. 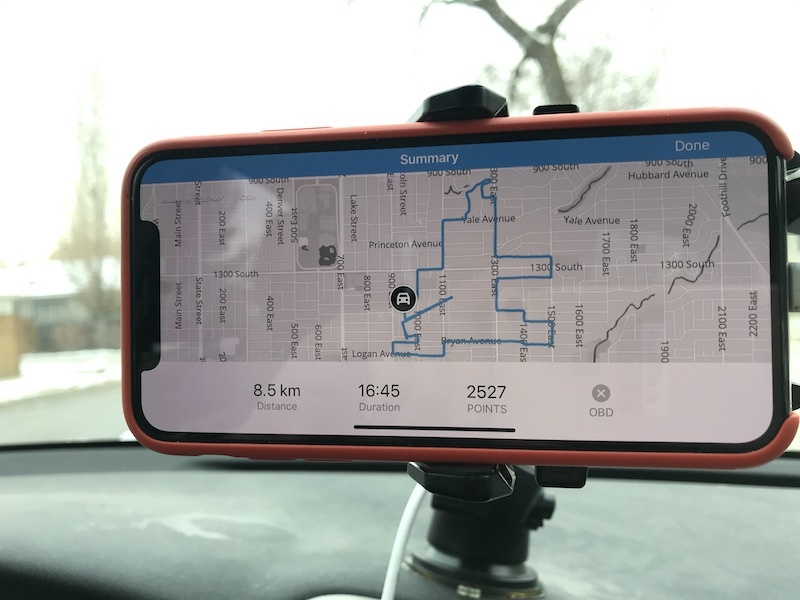 OpenStreetCam dash-cams are distributed to OSM US members. And more. Read all about it in our Summer Dispatch below! Quite a few of us got to go to State of the Map in Milan, Italy! Our team hosted four presentations at the conference, and we are really happy with the interest and feedback we received. We made a lot of new map friends as well! Alina and Bogdan talked about our ongoing effort to extract signs and other meaningful data from the more than 160 million OpenStreetCam images. Bogdan and Armin talked about how we verify our edits using a custom, open source workflow. Adriana talked about our brand new metrics dashboard giving deep insights into the trends in OSM data. Istvan talked about custom JOSM styles and scripts he uses to make his mapping life (and yours!) easier. We also had a booth at the conference where we talked about ImproveOSM and OpenStreetCam, and where 6 lucky winners received a Waylens OpenStreetCam dashboard camera! Excited crowd right before one of the Waylens cameras is being given away! 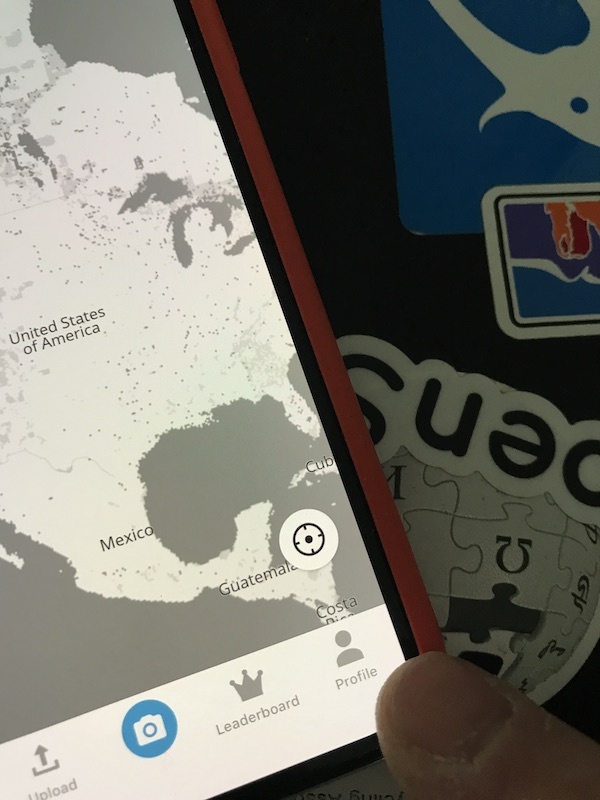 We continue to map in Canada, the United States, and Mexico. As always you can track our work on GitHub. We have been focusing a lot on adding missing road names for the larger metropolitan areas in the US. Our typical workflow is to identify local government road centerline data sources, verify the license, process them with Cygnus to find changed / new names, and manually add the names if we can verify them. We are excited that the US community is looking to build an overview of available road centerline databases from (local) governments. We hope the ones we identified can help bootstrap this initiative. We also published some MapRoulette challenges around this topic. Right on time for State of the Map, we launched a complete redesign of improveosm.org, our portal for everything Telenav❤️OSM. The new site gives you quick access to our OSM initiatives, data and tools. Check it out! We also released more than 20 thousand new missing roads locations. These are added to the existing database of currently more than 2.4 million missing road locations. An easy way to start editing based on these locations is to download the ImproveOSM plugin for JOSM. The steady growth of OpenStreetCam continues. Almost 4.5 million kilometers of trips are in the OSC database. This amounts to about 165 million images! We started a collaboration with OpenStreetMap US to run a Camera Lending program. Through the program, OSM US members can apply to borrow a custom Waylens Horizon camera for up to three months. The camera captures high resolution images for OSC and uploads them automatically. Almost 20 mappers have a camera already, and they have driven about 30 thousand kilometers in the past couple of months!